Students - please let us have the following details on your graduation. If you have been given details of your F1 rotation, please do let us know so that we can begin the process of linking you with local doctors on the welcome scheme. We recognise that many of you do not yet know the results of finals, and that some of you might be concerned that you might have to defer your F1 post for a year. However, we'd still prefer if you could tell us what the planned rotation would be, and then let us know if things change. If you have not been given a rotation yet, just enter an explanatory note below in 'place' (eg, on reserve list, overseas, etc). 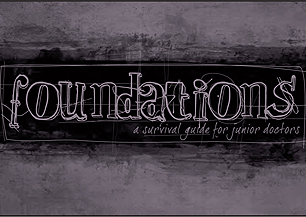 I would like to receive a free copy of 'Foundations'. 'Foundations' free copy is only available to members whose membership and contact/address details are up-to-date, and who have a current direct debit to CMF. Please tick if you want to be linked with other CMF doctors linked to your hospital through CMF's Welcome Scheme.